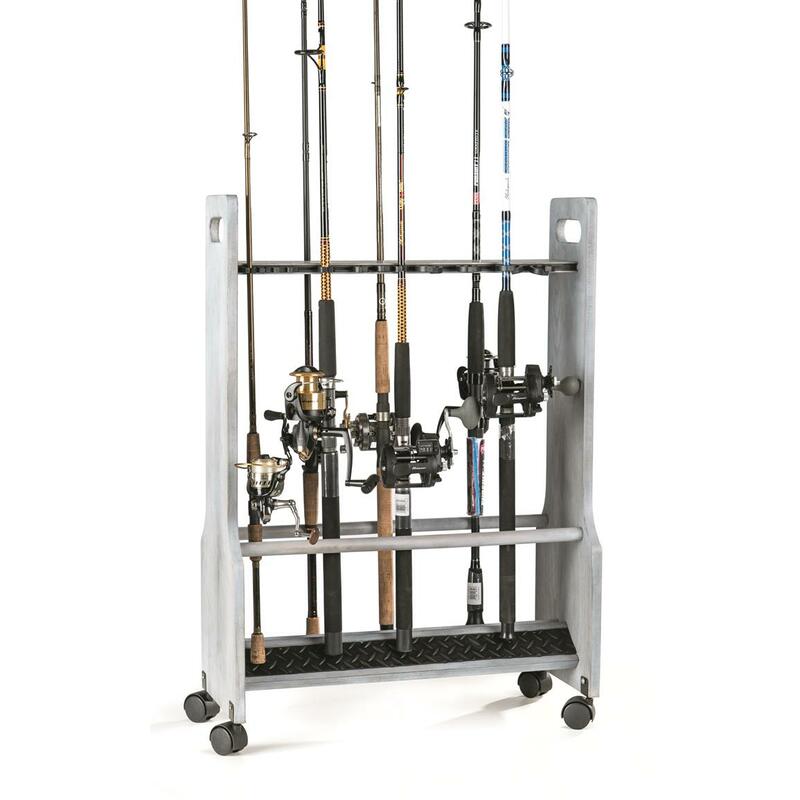 A creative storage solution for the fishing enthusiast. 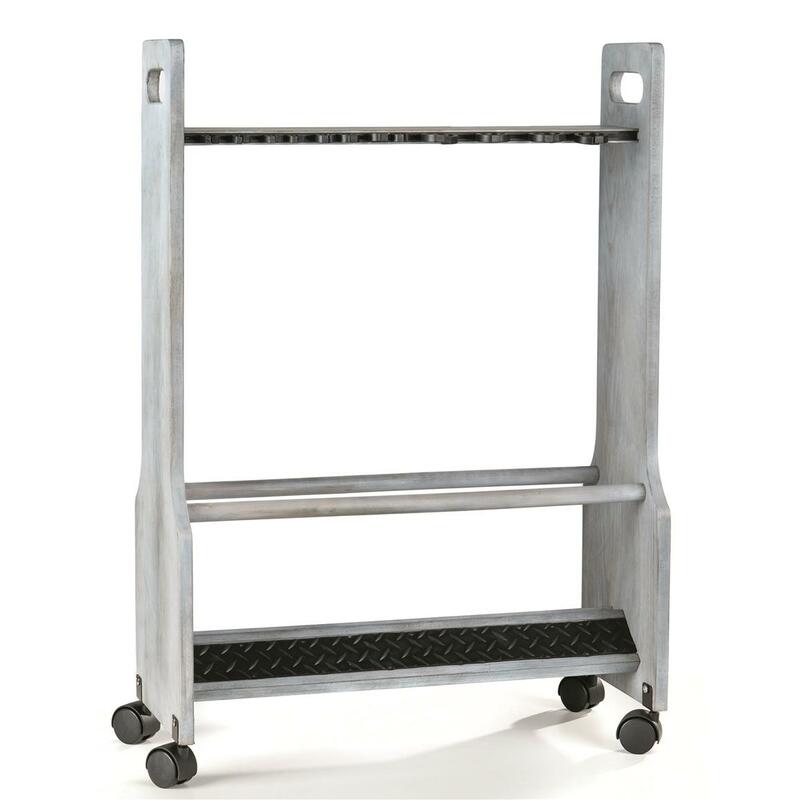 The Rolling Rod Rack makes for a creative, distinguished solution for storing and organizing your greatest assets. 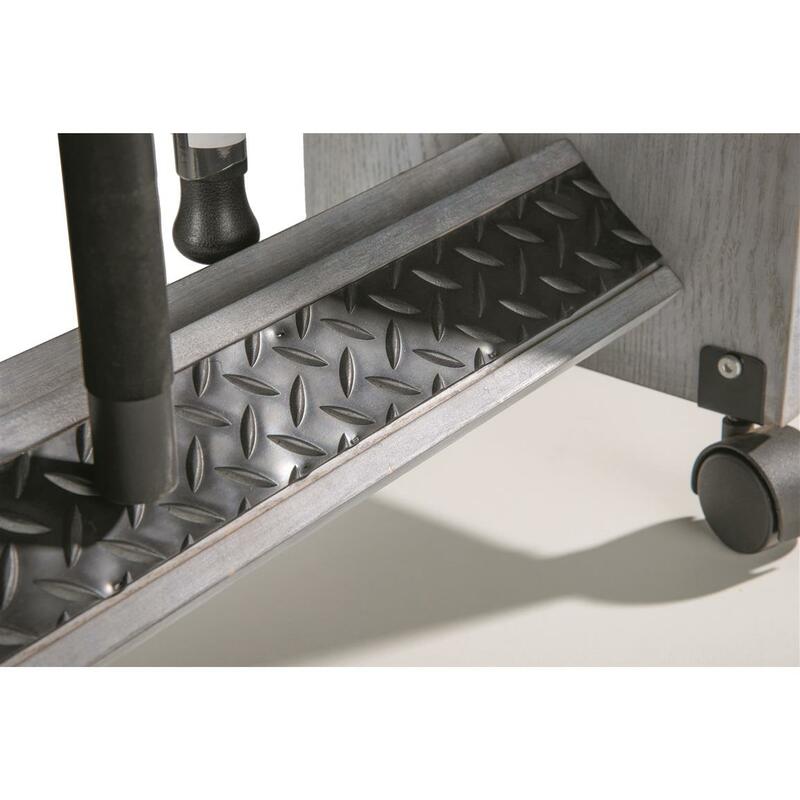 An assortment of rod clips adjust on a patent-pending track system to customize for your particular storage needs, while maximizing its capacity. Diamond-shaped inlaid rubber plate mats secure the rod butts in place so there's no flopping around of your most prized possessions. 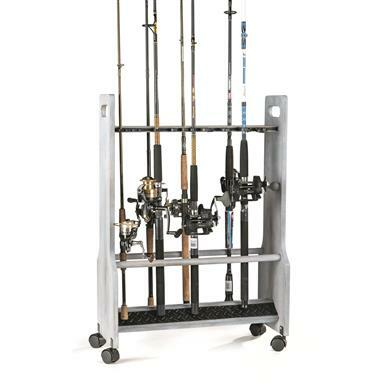 Two locking wheels secure the rack in place or release for easy movement. 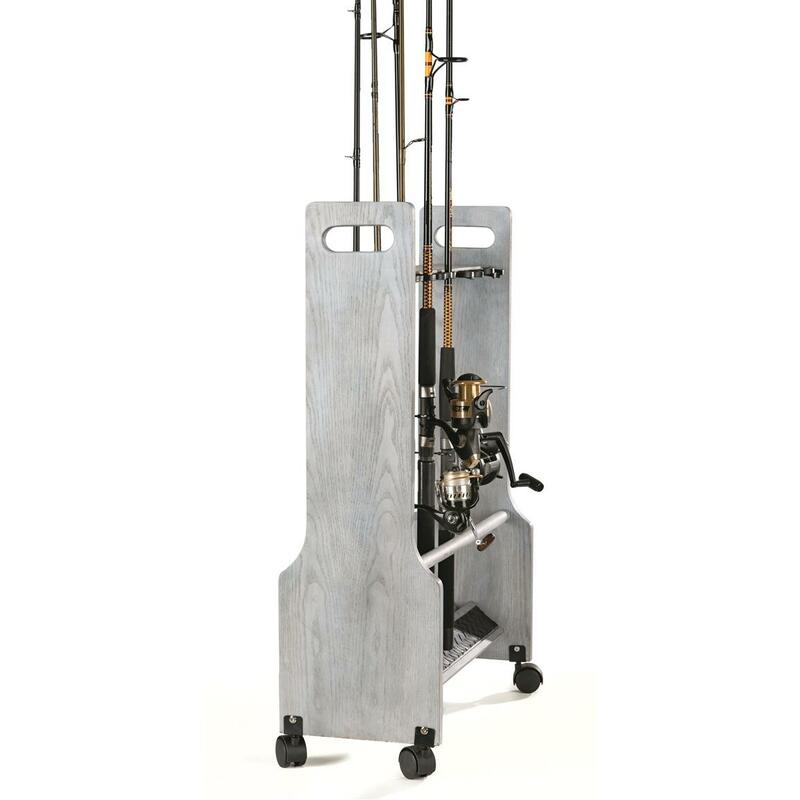 Up to 24 fishing rod capacity. Easy to assemble. Dimensions: 26.25"l. x 11"w. x 37.25"h.
Like getting 3 racks for the price of 1!